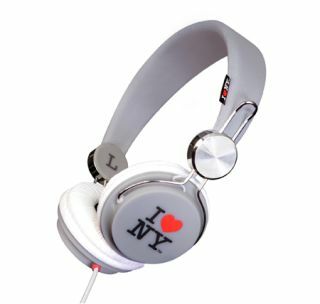 British brand Snug licenses 'I Love NY' for headphones | What Hi-Fi? Will the market for branded headphones go on expanding? British company Snug obviously thinks so, as it's licensed the iconic 'I Love NY' logo from New York State for its latest headphone range. The logo was originally designed by Milton Glaser to spearhead an advertising campaign to promote tourism in the mid-1970s. Snug says there's more to these headphones than just a recognisable logo. Sound quality is apparently a 'major priority', with a premium-grade 4cm driver in each earpiece. There are four colours available: midnight black; classic white; concrete grey; and candy pink. Available now exclusively through iHeadphones, they officially retail at £40. But for a limited period iHeadphones is offering them at a 30% discount.